Whereas wizards weave elements of raw destruction into their magic, geomancers take the raw stuff of creation. The land is their tool, the sky is their weapon, and the very planet shudders at their command. Geomancers are hard, physical spellcasters, who know the toughness of stone and the power of a tsunami and the speed of a hurricane. They share much in common with White Mages, only are even more suited for front-row activity, with more health and better armor. These are the basic statistics for anybody with Geomancer set as their main job. Characters with Geomancer as their main job can use the following skills. Vitality: Geomancers blaze trails through the harshest wilderness. Light Step: You can sense the environment around you, and are aware of hazards before you encounter them. You prevent the challenge from lowering your Victory Points once. Wisdom: Geomancers let their intuition guide them. Wisdom: Geomancers know the lore of the wilderness. Geomancers gain the following powers as they gain job levels. 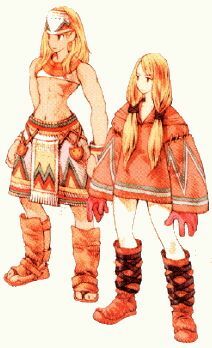 In addition to three categories of destructive magic (Earth, Water, and Wind), the geomancer's most iconic ability is their very first, which randomly uses the terrain to their advantage. Gaia calls on the terrain to help. It is free, but you may fail to call upon the spirits. Spell 1 A Roll 1d20 and add your level. On a roll of 5 or less, you do nothing this turn. On a roll of 6 or above, choose one of the battlefield's terrain elements. On a roll of 6-20, you use the first ability listed below for the element you chose. On a roll of 21 or better, you use the second ability listed below for the element you chose. On a roll of 30 or better, you use the third ability listed below for the element you chose. Life's Embrace Deals HALF SPELL POWER physical damage to all enemies, and roll 1d20 for each enemy. On a roll of 10 or better, the enemy is immobilized. Artifice's Embrace Deals SPELL POWER physical damage to all enemies, and roll 1d20 for each enemy. On a roll of 10 or better, the enemy is slowed. Nature's Assault Deals DOUBLE SPELL POWER physical damage to all enemies. Dimensional Rifts, The Moon, Time Compression, etc. Magic Storm Deals HALF SPELL POWER damage to all enemies, half of which is HP damage, and half of which is MP damage. Evil Gaze Deals SPELL POWER shadow damage to all enemies, and roll 1d20 for each enemy. On a roll of 10 or better, the enemy is muted. Shadowflare Deals QUADRUPLE SPELL POWER shadow damage. Land Slide Deals HALF SPELL POWER earth damage to all enemies. Earth Heal Heals SPELL POWER HP for the party. Snare Roll 1d20. On a roll of 5 or better, the victim is killed. Volcanoes, Sand Dunes, Savannahs, etc. Flame Burst Deals HALF SPELL POWER fire damage to all enemies. Magma Deals SPELL POWER fire damage to all enemies. White Flame Heals DOUBLE SPELL POWER HP for the party. Sonic Boom Halves the target's current HP, and deals 10 damage/round to them until the end of combat. This is a death effect. On a roll of 10 or better, this inflicts Immoblize. Sunbath Heals SPELL POWER HP for the entire party. Harvester Removes all ailments from the target. Ice Pillar Deals SPELL POWER ice damage. Ice Storm Deals SPELL POWER ice damage to all enemies. Shining Flare Deals SPELL POWER fire damage. Thunderous Roar Deals DOUBLE SPELL POWER lightning damage, and roll 1d20. On a roll of 10 or better, the enemy is sealed. Plasma Deals TRIPLE SPELL POWER lightning damage. Will O' Wisp Deals DOUBLE SPELL POWER fire damage, and roll 1d20. Poison Mist Deals DOUBLE SPELL POWER shadow damage to all enemies, and roll 1d20 for each enemy. On a roll of 10 or better, the enemy is poisoned. Tsunami Deals HALF SPELL POWER water damage to all enemies. Venom Squall Deals SPELL POWER water damage to all enemies, and roll 1d20 per enemy. Sky, Airships, High Places, etc. Wind Slash Deals HALF SPELL POWER wind damage to all enemies. Dust Storm Deals SPELL POWER Wind/Earth damage to all enemies, and roll 1d20 for each enemy. On a roll of 10 or better, the enemy is Blinded. Maelstrom Put one enemy's HP at Crisis level. This considered a Death effect. The Stone spell pelts enemies with rocks. 10 MP This deals SPELL POWER Earth damage. Water blasts enemies with a surge of hydraulics. 10 MP This deals SPELL POWER Water damage. Aero slashes enemies with violent gusts. 10 MP This deals SPELL POWER Wind damage. Stonera causes boulders to erupt! 20 MP This deals DOUBLE SPELL POWER Earth damage. Watera causes geyesers to splash down. 20 MP This deals DOUBLE SPELL POWER Water damage. Aerora blasts the region with a miniature windstorm. 20 MP This deals DOUBLE SPELL POWER Wind damage. 30 MP This deals TRIPLE SPELL POWER Earth damage. Waterga innundates the enemies with tidal force waves. 30 MP This deals TRIPLE SPELL POWER Water damage to one enemy. Aeroga rips the enemy apart with savage zephyrs. 30 MP This deals TRIPLE SPELL POWER Wind damage. Geomancers use the energy of the earth itself to defend their entire party from harm, for a time. 40 MP All members of your party are invincible until the end of your next turn. This means that they do not take any damage from any source. Geomancers can customize their abilities with feats, gaining new abilities and options. Some geomancer feats have a "Terrain" entry. This means that, to use the ability or option the feat grants, the geomancer must be on a battlefield with a terrain element corresponding to the elements listed. With Nature Mage, a geomancer does not need to worry about failing her Gaia roll. [Option] When you use your Gaia ability, you can spend 5 mp. If you do, you gain a +5 bonus to the roll. Some geomancers carry their elements around with them. [Option] When you use your Gaia ability, you can choose any terrain element, even if it is not the current one. You take a -5 penalty on the Gaia roll when you do this. Once you successfully use a Gaia ability from a given element, the battlefield is considered to have that element until the end of combat. Geomancers with this ability can call on wild creatures to aid them. [Option] When you use your Gaia ability, you can choose "Animals" as an element. If you do, the 1d20+Level roll you make doesn't reference the usual Geomancy list. Instead, it references the Animals list. Squirrel SPELL POWER physical damage. Poison Frog Deals SPELL POWER shadow damage, and roll 1d20. Bee Swarm Deals HALF SPELL POWER + THE TARGET'S LEVEL physical damage to all enemies. Nightingale Heals HALF SPELL POWER HP for all allies and roll 1d20 for each ally. On a roll of 10 or better, the ally can remove one status. Falcon Deals ONE-FOURTH OF THE TARGET'S CURRENT HP physical damage. Wombat Deals DOUBLE SPELL POWER physical damage. Baby Boar Brigade Deals SPELL POWER physical damage to all enemies. Arctic Hare Heals SPELL POWER HP for the entire party. Tree Squirrel Inflicts Paralyze on all enemies. Sheep Count Inflicts Sleep on all enemies. Skunk Inflicts Poison and Blindness on all enemies. Wild Boar Deals TRIPLE SPELL POWER physical damage. 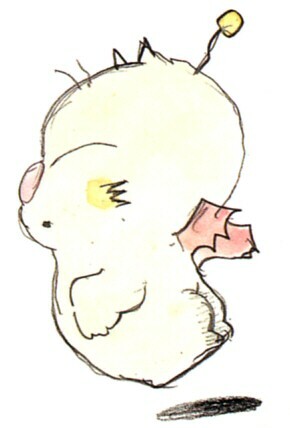 Chocobo Rush Deals DOUBLE SPELL POWER physical damage to all enemies. Meerkat Bestows Haste on the party. Racoon Heals all HP and removes all ailments. Unicorn Heals all HP and MP for the party. Friend Uses a random Summon. A geomancer can use Boulder Crush to shatter an enemy's legs or pin them beneath the stones. 15 MP Deal SPELL POWER earth damage to an enemy and roll 1d20. A geomancer uses Tremor to jar an enemy so hard, they remain disoriented for long after. A geomancer uses Sliprain to impede an enemy, weighing them down with moisture. 15 MP Deal SPELL POWER water damage to an enemy and roll 1d20. 15 MP Deal SPELL POWER wind damage to an enemy and roll 1d20. A geomancer makes the wind glisten blindingly as it scours the enemy. 20 MP Choose an element. This deals 1d6 damage of that element to the enemy each round until the end of combat. If the current battlefield terrain contains that element, this damage raises to 1d12. A geomancer with this ability can toss stones over a large area. 20 MP This deals SPELL POWER Earth damage to all enemies. A geomancer with this ability can call upon a mini-flood. 20 MP This deals SPELL POWER Water damage to all enemies. 20 MP This deals SPELL POWER Wind damage to all enemies. A geomancer uses Earth's Embrace to grab an enemy's arms. 25 MP Deal DOUBLE SPELL POWER earth damage to an enemy and roll 1d20. On a roll of 10 or better, the enemy is disabled. A geomancer uses Fire Whip to contain an enemy. 25 MP Deal DOUBLE SPELL POWER fire damage to an enemy and roll 1d20. A geomancer uses Avalanche to knock all enemies out of commission (for a moment, at least). 25 MP Deal SPELL POWER fire damage to all enemies and roll 1d20 for each enemy. On a roll of 10 or better, the enemy is put to sleep. A geomancer uses Snowfall to muffle an enemy spellcaster. 25 MP Deal DOUBLE SPELL POWER ice damage to an enemy and roll 1d20. A geomancer with Quicksand drowns his enemies slowly. A geomancer uses Torrent saturates an enemy and turns them into a creature. 35 MP Deal TRIPLE SPELL POWER water damage to an enemy and roll 1d20. On a roll of 10 or better, the enemy is turned into a frog. A geomancer can use Contortion to encase an enemy in a tomb of stone. 35 MP Deal TRIPLE SPELL POWER earth damage to an enemy and roll 1d20. On a roll of 10 or better, the enemy is petrified. A geomancer uses Magma Surge when he'd like to be sure an enemy dies. 35 MP Deal TRIPLE SPELL POWER fire damage to an enemy and roll 1d20. On a roll of 10 or better, the enemy is killed instantly. A Geomancer with this feat has mastered the element of earth. 40 MP Deal TRIPLE SPELL POWER Earth damage to all enemies. A Geomancer with this feat has mastered the element of water. 40 MP Deal TRIPLE SPELL POWER Water damage to all enemies. A Geomancer with this feat has mastered the element of wind. 40 MP Deal TRIPLE SPELL POWER Wind damage to all enemies. A Geomancer with Bottomless Bog at their disposal can take out entire armies with a simple gesture. 45 MP For each enemy, roll 1d20. If the roll is 10 or better, the enemy is killed.